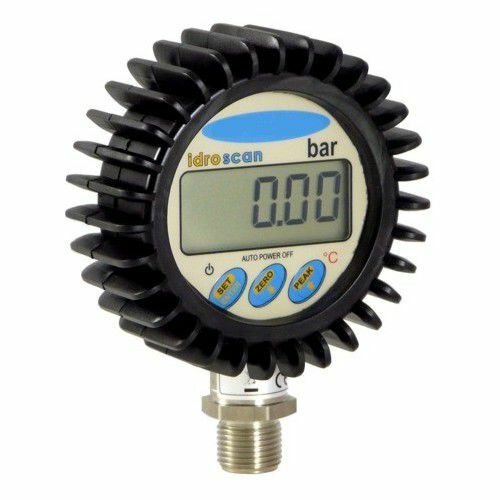 The digital manometer SM-IDROSCAN series allows to measure, dsplay and record pressure and temperature with a good accuracy and reliability. The Data Logger function allows to store up to 60.000 points. The SM-IDROSCAN is powered by an internal batteries, with 1 year autonomy. This manometer can be supplied with accredited certification. Digital manometers for RELATIVE and VACCUM measures. Capacities from 1 to 2000 bar. Measurement of the temperature of the fluid. Suitable for dynamic and static applications.